Should I Seal My Garage Floor? If your garage floor has seen better days, it may be time to consider sealing it. Because garage floors are protected from outdoor elements, they don’t generally need sealed as often as a concrete driveway. However, most garage floors are made from concrete, making them susceptible to cracking and moisture intrusion from oil spills, antifreeze leakage, and other household chemicals. V-SEAL can help protect and maintain your garage floor with the same professional-grade sealers used by car companies, warehouses, and body shops around the world. Here’s everything you need to know, from product selection to application and cleaning techniques. 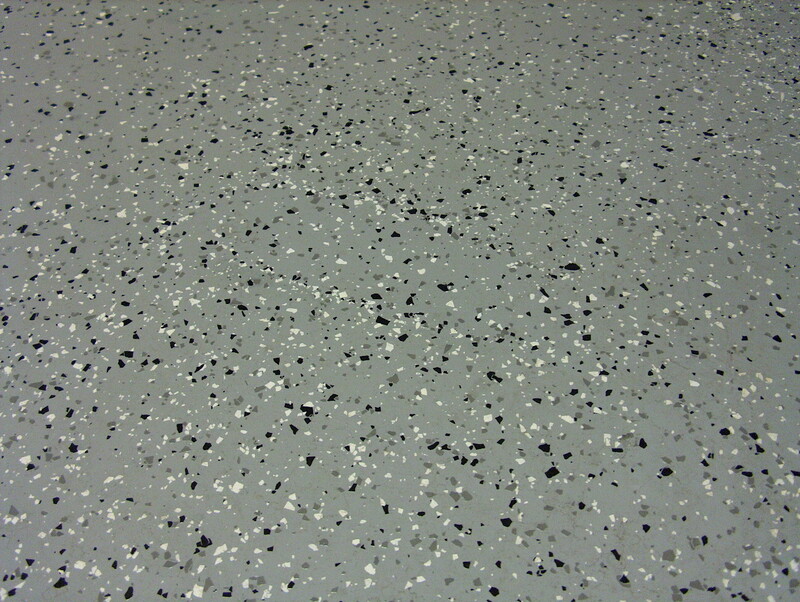 A combination of penetrating sealers and topical coatings is recommended to protect and strengthen a garage floor. Penetrating sealers chemically bond in the substrate just below the surface, while topical coatings form a membrane layer over the substrate surface, adding protection from moisture stains, chemicals, grease, gas, and oils. Topical coatings additionally add decorative elements such as high shine or color. For smooth concrete where appearance change is not desired, we recommend V-SEAL 101. This highly versatile, multi-surface penetrating sealer has excellent moisture repellent characteristics. It creates a cross-linked insoluble internal membrane barrier that will wear away only if the substrate itself wears away below sealer penetration. For smooth concrete that will be polished, INDUSTRA-SEAL 117A and INDUSTRA-SEAL 117PLS increase surface strength while increasing stain and dust repellence. This lithium-silicate densifier can be sprayed or rolled on your smooth concrete garage floor. When it comes to enhancing, as well as providing additional protection to your garage floor, the Industra-Coat Epoxy & Urethane Kits are a perfect solution. The kits include a two-part epoxy for great adhesion to the concrete and high resistances to chemicals, as well as a two-part urethane topcoat that increases abrasion, heat, and UV resistances. The Industra-Coat Kits are available in clear for a decorative wet look, or solid colors for a painted finished appearance. For proper application, you should always consult your product label. There is more to application than what’s included in this blog, but here are some helpful, general tips. Always clean your substrate surface well and clear all loose debris before product application. Sealed stains will become much harder to remove if they aren’t cleaned prior to sealing, and loose debris may even prevent the sealer from making proper contact with the substrate. Before you dive in, be sure to test a small area. Penetrating sealers may be applied to slightly damp surfaces, while topical sealers require very dry, clean substrates. If over-applied, penetrating sealers may leave a white residue and topical sealers will result in a flaky, bubbled appearance. Penetrating sealers do not generally require a second coat, while topical sealers will have re-coat times of between 2-24 hours. Again, consult your product label for specific instructions and re-coat times! Finally, a few cleaning and maintenance tips for your sealed garage floor. Always clean with fresh water or a suitable cleaner/degreaser. For easy removal of normal dirt and oil, use an alkaline cleaner, such as V-SCRUB HD. For the removal of rust, efflorescence and leaf stains, use an acidic cleaner like V-SCRUB RES. Thoroughly rinse with a mop, hose, or commercial scrubber with water recovery. Looking to protect and maintain your residential garage floor? Contact the experts at V-SEAL. We’ll help you every step of the way, from product selection to application to cleaning and maintenance. Get the same premium products for your garage floor as commercial operations across the world!